Velella’s are very unique sea creatures (Hydrozoa to be exact) that I found washed up on the beach recently. 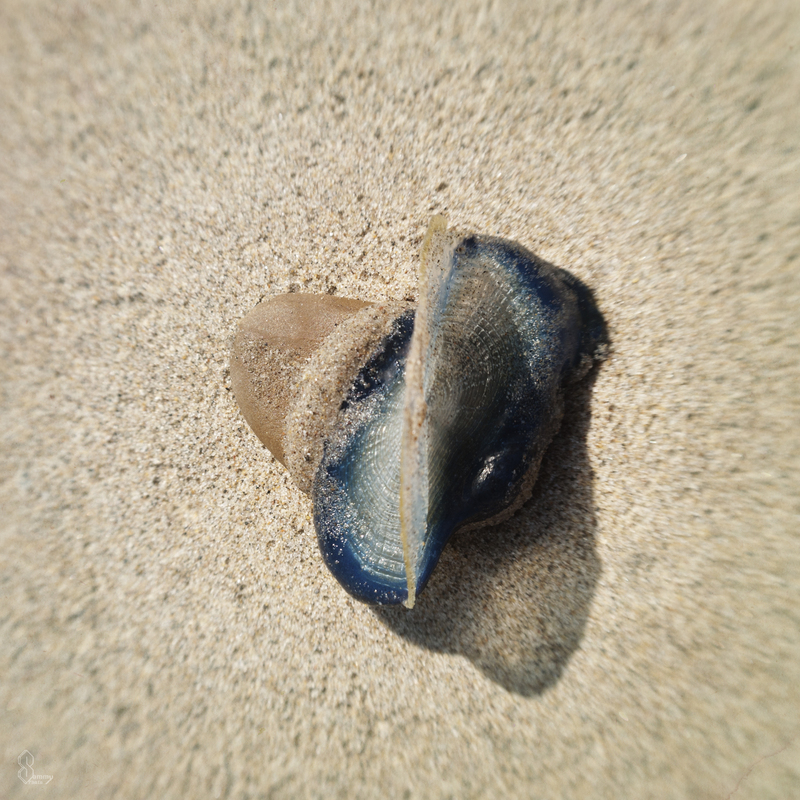 This one caught my eye instantly due to the range of colors from clear to dark blue. As you can see, Velella’s are transparent at top with what looks like a fin, but is actually a wing that helps them sail across oceans. 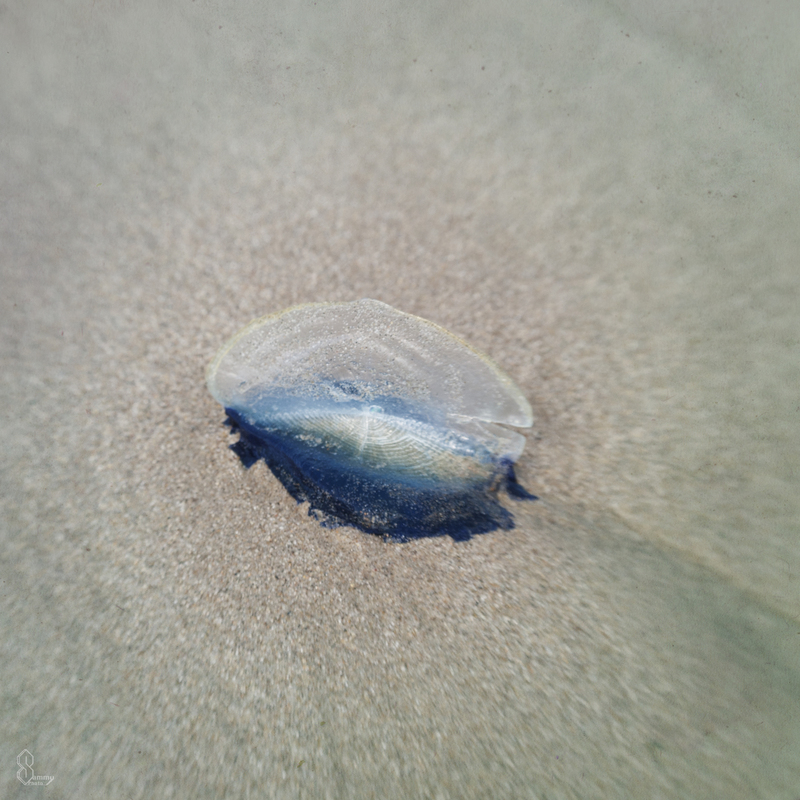 Sometimes they get stranded on the beach and have no way of getting back to the ocean. 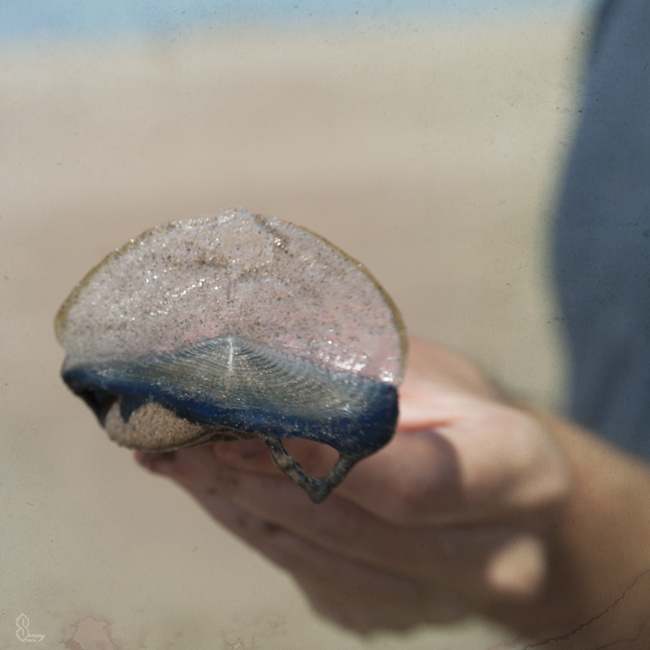 It’s easy to miss a Velella at first glance but once you notice the vibrant blue bottom, it’s hard to look away. 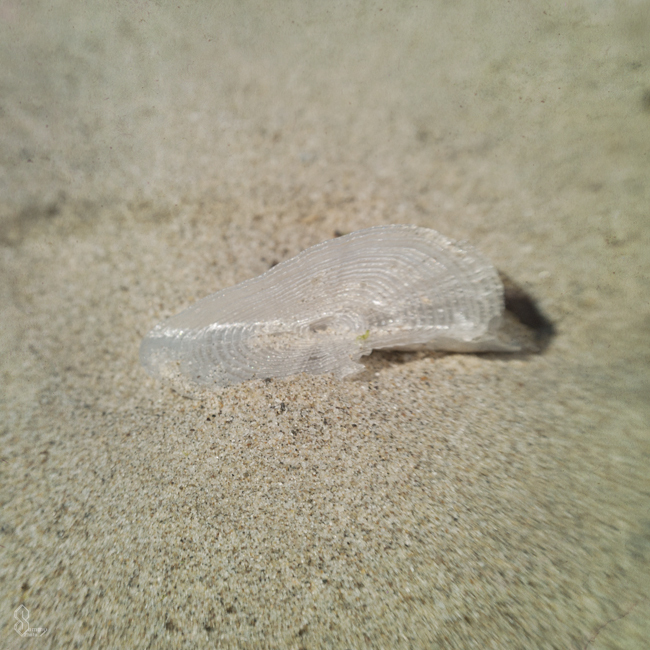 This is what happens when a Velella is left in the sun for too long, it turns transparent and almost crispy.